As we enter the waning days of Spring (maybe), it’s the perfect time to start thinking about preparing for summer. For my family, summer means spending copious hours at a softball fields or beach volleyball tournaments across the Midwest which in turn means trying to find ways to beat the heat. 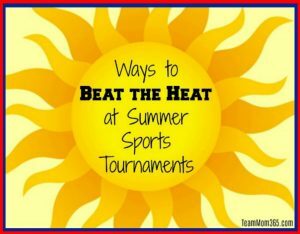 However, beating the heat isn’t only for you spectating… it’s for your athlete as well. Beating the heat is part common sense and part science. I think we all have the common sense to know what to do. However, execution is sometimes iffy. Below you will find 12 ways to beat the heat and give you a little bit of the science to back up these methods. 1. Take advantage of your body’s cooling points by doing the following during every bathroom break. a. Wash your hands in cold water up to your elbows. c. Wipe down your legs especially the front and back of your knees and inner thighs. THE SCIENCE: The US Army even did study on “Arm Immersion Cooling” and found that it reduced exertional heat illness. NOTE: Putting a Microfiber Cooling Towel in your day bag will make the job of beating the heat so much “cooler”. These towels stay moist for hours and are a perfect way to stay cool when you are out in the blazing sun for hours on end. 2. Drink, drink and drink some more… and NOT caffeinated or alcoholic beverages either. Go for the water! And don’t wait until you are thirsty. Start before you even leave for the game with at least 8 ounces of water. In some cases, if you wait until you are thirsty it’s too late and your body is already on its way to heat exhaustion. THE SCIENCE: As with everything else done to excess, drinking water is great but beware of drinking too much watch. There is a condition called Hyponatremia which can result from drinking too much water, leaving the body with low levels of sodium. The best method of treatment is prevention. For every 16 ounces of water you drink you should drink have one sports drink. Sports drinks are available at every sport complex around the country or if you are traveling to a tournament you can bring your own by shipping a case to your hotel saving you a ton of money, especially if you have Amazon Prime. 3. Staying out of the direct sun is a key to staying cool. Personal umbrellas and awnings are relatively cheap and will save you from sitting for hours in the sweltering heat. THE SCIENCE: Even on a hot day it can feel up to 10° – 15° cooler in the shade. It’s not really 10° – 15° cooler. It just feels that way because of the reduction in solar radiation from sunlight. 4. I know this isn’t always feasible but if possible try to take an afternoon break and return when the heat of the day has waned. THE SCIENCE: The hottest time of day typically happens around 3:00pm. Therefore, the hours of 1:00pm to 5:00pm is a great time for an air-conditioned meal or an afternoon break. 5. Wear sunscreen and reapply throughout the day. This is important because a lot of people think once is enough. Sunscreen should be reapplied EVERY TWO HOURS as it tends to rub and wash off. Athletes should consider reapplying before every match or game. THE SCIENCE: There are two types of sunscreen: inorganic such as zinc oxide or titanium dioxide and organic which include avobenzone and oxybenzone. The inorganic sunscreens reflect UV rays while the organic absorbs the rays and slowly breaks them down and release heat. You also want to look for ‘broad-spectrum’ sunscreen which protect your skin against both UVA and UVB rays. When it comes to choosing a sunscreen make sure you go for a brand with a 50 SPF (anything above 50 has not been clinically proven to be more effective). 6. Put antiperspirant deodorant in your day bag. Let’s be honest about this one: Sweating is kinda gross and just makes you feel (and smell) yucky. Feeling fresh and clean is half the battle. NOTE: There are two different types of deodorant: antiperspirant and deodorant. Antiperspirants stop sweating while deodorants cut down on the elements that make sweat smell. A majority of the brands sold will contain both facets. However, you can buy deodorant without antiperspirants. 7. Clothing is key. Wear moisture wicking, lose-fitting, light-colored clothes. No dark colors! THE SCIENCE: Remember back to grade school where we learned about color. Dark colors absorb the suns ray while light colors reflect those rays. 8. In the weeks and months leading up to your summer sports season participate in aerobic activity. This will prepare your body to better deal with the stress of the heat. THE SCIENCE: Acclimating your body to the heat can be as easy as working out aerobically a couple of days a week leading up to the season. By doing this you are also training your body to deal with the heat. 9. When possible wear a hat that covers your face. THE SCIENCE: According to Walter Herman, retired cardiologist from Philadelphia’s Jefferson Hospital, “approximately 20% of the body’s blood supply flow to your face.” Therefore, the need to keep the head and face shaded are very important. And this is perfectly good reason to don an awesome sombrero! 10. Take a break in a shady spot under a tree. THE SCIENCE: The process of evapotranspiration causes trees to extract moisture from the soil then release it into the atmosphere via evaporation and transpiration making the air around the roots feel cooler. 11. Make sure you are not looking at just the ambient temperature but also the heat index which will give you an accurate description of what the air will feel like. THE SCIENCE: Heat Index takes humidity into consideration where humidity is combined with the air temperature. 12. Misting fans keep you cool by simulate the evaporation of sweat. Note: You can sometimes buy misting fan at tournaments but you will pay an arm and a leg. 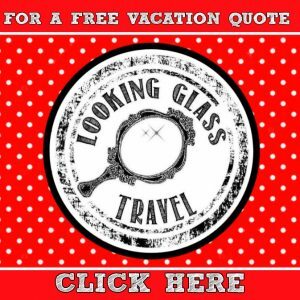 It is much cheaper to buy at home to take with you. So what happens if you do end up feeling the adverse effects of heat? This one’s a no-brainer: IMMEDIATELY seek medical attention. This could be an onsite athletic trainer or even calling 911 if the symptoms are progressing. Heat-related illness is nothing to mess with. Every year an average of 658 people dies in the United States from heat related illness and nearly every single one of those deaths is preventable. 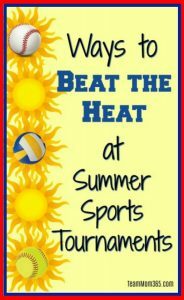 Do you have a go-to way to beat the heat at summer tournaments? Let us know by tweeting at us @TeamMom365. You can follow our pixie-dusted journey here: Facebook, Twitter, Instagram and Pinterest for more great Team Mom Lifestyle content.